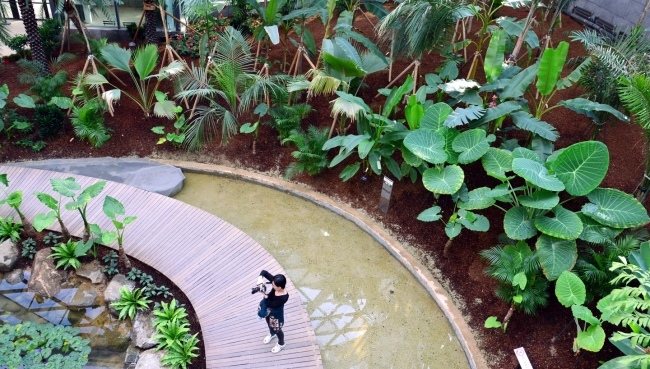 As South Korea’s capital, home to some 10 million people, is blanketed in a heavy fine dust that clogs throats, a newly opened botanical garden in western Seoul has become a haven for those seeking to breathe clean air. 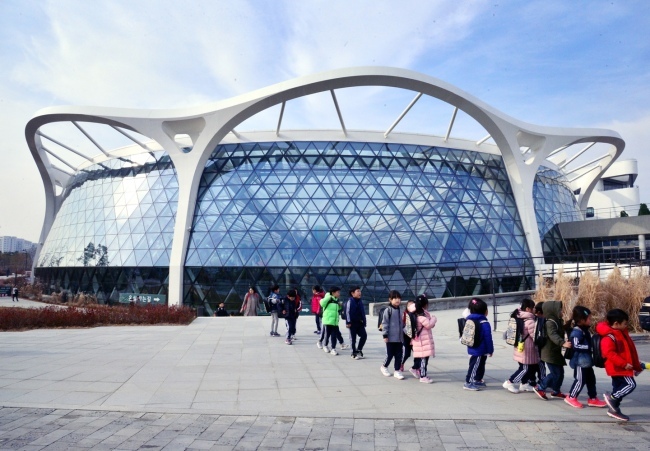 Seoul Botanic Park, which is twice the size of Yeouido Park and located at the center of Magok high-tech industrial zone, has opened for a test run after a five-year construction before its official launch next spring. 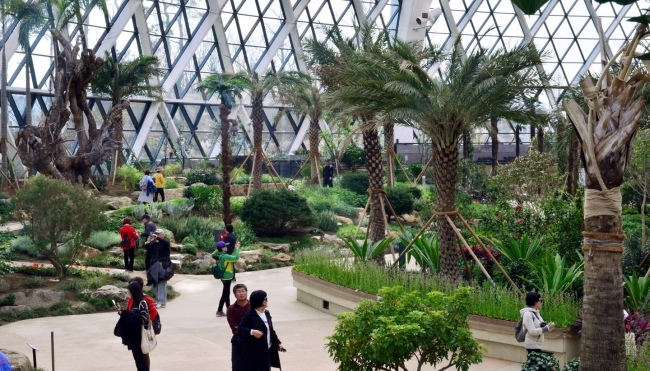 The indoor botanic garden showcases gardens from 12 tropical and Mediterranean cities including Jakarta, Barcelona and San Fransisco, each of which has developed a unique plant culture based on their climate, history and culture. 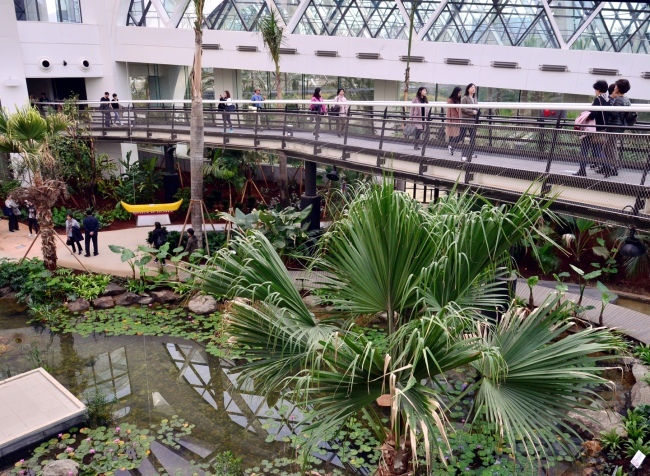 At the SBP, visitors can also join programs aimed at raising the awareness of biodiversity, participate in festivals and plant exhibitions, walk along the decking across the lake to observe waterside plants and watch migrating birds from the wetland connected to the River Han. The SBP is open from 9 a.m. to 6 p.m. every day, and closed every Monday. 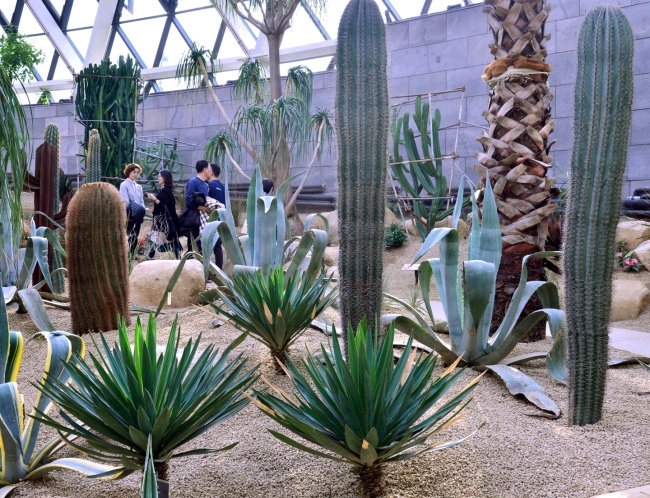 It is nearby Magok Subway Station on Line 9, which is 30 minutes from Gangnam and 40 minutes from Incheon Airport.